The best way to know what those searchers want is to know your personas. Make your website relevant and valuable to your target personas. Below are our recommended steps. Make a list of important, relevant topics that you can help different personas with. Remember that there might be different keywords over the buyer journey from awareness, consideration, to decision. 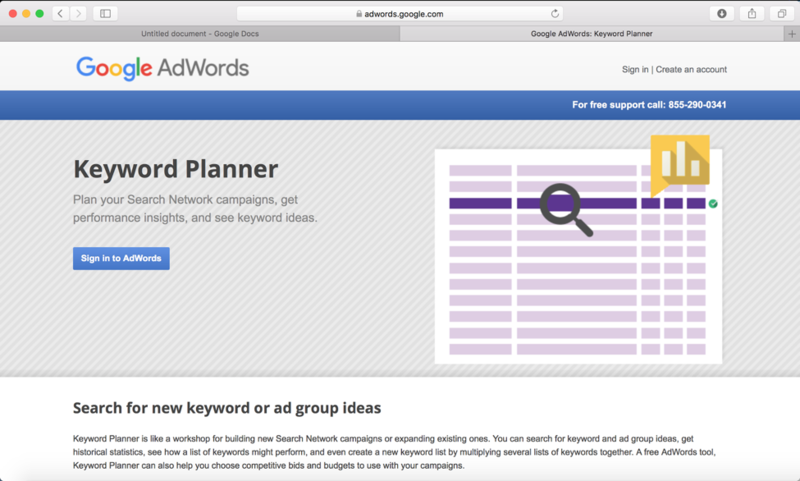 Research related search terms using Keywords tools like the Google AdWords Keyword Planner (or HubSpot's Keywords App) to cut down your keyword list. Make sure website is mobile-friendly. Google prioritizes this since more people use their smartphones to search than their desktop. Optimize your images - search engines don't just look for images, but they look for images with alt text. Create a separate blog post for each of your most relevant keywords. Because each blog post you write is viewed by search engines as its own individual website page, the more quality blog posts you write about the keywords that are most relevant to your persona, the more chances you have to rank for those keywords and show up on search engine result pages. SEO optimize each blog post as described above with the keyword in the title, URL, metadata description, etc. Experiment with blog posts that readers will share. This could be a self assessments or quizzes (e.g. using www.Proprofs.com), vote for your favorite blogger, top-5 books to read this fall, top 10 industry experts to follow on twitter. Make it easy to share the blog posts via email or social media. Promote all educational posts via social media using relevant Twitter hashtags (think keywords) and to relevant LinkedIn or OpenBC groups. Monitor what drives - and what doesn´t drive - traffic to identify what you need to improve to get even more traffic. Identify low performing website traffic sources using your website analytic tool. Based on your findings, you will then be able to optimize each source to ensure that you get the most of every channel. Analyze website traffic from organic search. Ensure each page and blog post is SEO optimized around a long-tail keyword. Analyze website traffic from social media. Identify what social media platforms works best for attracting your target persona, and ensure each update has the best description, hashtags, and image. Analyze potential website traffic from paid search. Do a test to determine the effect of paid search like Google AdWords or Facebook ads. Analyze website traffic from email marketing. Email promotion is usually the easiest way to get more website traffic, but this requires you to know their email address - and have permission - to send emails. It is therefore a very effective tool for lead nurturing, but not for getting net new people to your website. Optimize your top performing website traffic sources. Identify your top performing website traffic sources. Modify the detail. Use Google's Search Console - Google's free Search Console contains a section called the Search Analytics Report. This report helps you analyze clicks from Google Search, and it's useful to determine which keywords people are using to find your content.